Orange’s new chief executive has decreed that the company’s long-running ad slogan "the future's bright, the future's Orange" is to be dropped in a bid to turn around the company’s ailing fortunes in the mobile and broadband markets. Tom Alexander is also expected to make drastic job cuts in addition to canning the popular slogan from ad agency WCRS, following the continuing decline of Orange’s broadband business in recent years. 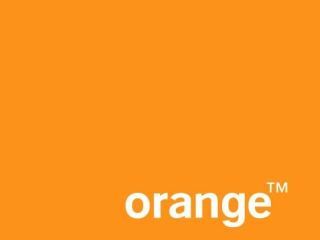 Orange, now part of France Telecom, is the smallest of the original four UK mobile networks. The company’s broadband user-base has declined rapidly over the last year from 1.142 million customers in September 2007, 1.138 million at the end of 2007 and 1.107 million in March 2008. "There's a lot of change planned in order to put us back where we belong - at the top of our game," Alexander told Orange’s 12,500 employees in an email entitled ‘The Agenda’ yesterday. Orange faces increasing competition for residential broadband customers from rivals O2 and Vodafone's "converged" broadband and mobile offerings.